Join us to learn all about morels from expert Stan Hudson. Stan is the past president of the Missouri Mycological Society and has over thirty years of experience hunting morels up and down the Mississippi River valley. 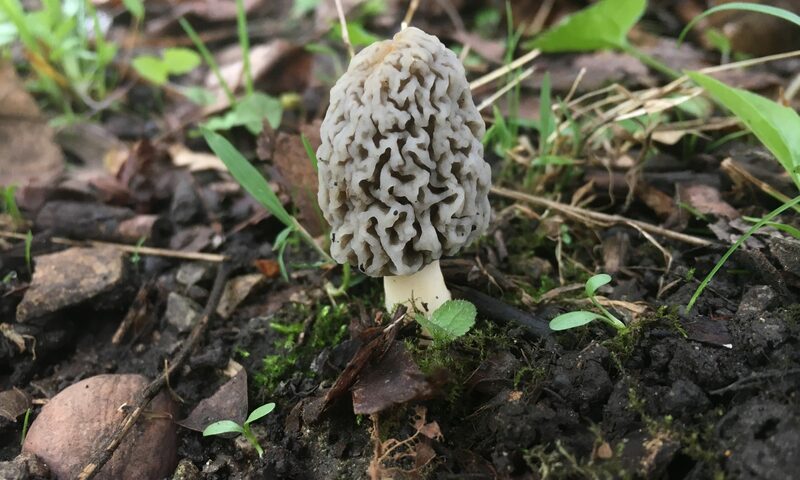 Beginners and experts alike will benefit from Stan’s lecture, which will cover what a morel is, how to identify them, and where to find them. April’s monthly meeting will be held in Birge Hall, room 158. For future monthly meetings we will return the Mezz at Festival Foods. Parking can be challenging at the University so we encourage you to carpool, bus or bike. You can check out the campus parking map for additional free parking after 4:30 PM. Future meetings will be held at the Festival Foods community center on E. Washington. All monthly meetings are free and open to the public. Your support is greatly appreciated. Please consider becoming a member for $15 a year to support these activities and get access to future special events and workshops for free or at a reduced cost. Anyone wishing to become a new member or to renew their membership to the Madison Mycological Society for 2019 can do so here.